"There is no law that’s been put in place by the US government that says that donating to WikiLeaks is outlawed, but you have these major financial companies achieving what is effectively economic censorship, and achieving what the US government could not because of the First Amendment. It’s quite a frightening precedent"
Virgin Atlantic have said it’s a security services issue, and the UK government has said they’ve got nothing to do with it, so we still don’t have any answers. Some journalists have been pointing towards US travel watch lists, which refer to...use the same language, inhibited. It’s not a word that I’ve ever heard used in reference to me before, but I just don’t know, and you know, I have concerns about it. Does it...will it happen again, is it going to affect my travel in the future? And these are all questions I would very much like to be answered from the Australian government on. Anita Barraud: And you’re...while you’re no longer part of the legal team you still also advise around the financial areas? Jennifer Robinson: That’s right, so WikiLeaks has been subjected to a financial blockade by the world’s leading financial services organisation—Visa, MasterCard, PayPal, Western Union and others. This has resulted in WikiLeaks’...95 per cent of WikiLeaks’ income being completely wiped out. Of course, WikiLeaks is a non-profit media organisation which is dependent upon donations from the public to maintain their operation, and the financial services blockade which started in December 2010, also the result of the very same letter from the State Department that was the subject of a Lawyers’ Rights Watch complaint in which wrongful allegations were made of illegal conduct. That has caused a huge problem for WikiLeaks, and so we are investigating legal action and ways in which we can combat that. There is no law that’s been put in place by the US government that says that donating to WikiLeaks is outlawed, but you have these major financial companies achieving what is effectively economic censorship, and achieving what the US government could not because of the First Amendment. It’s quite a frightening precedent. 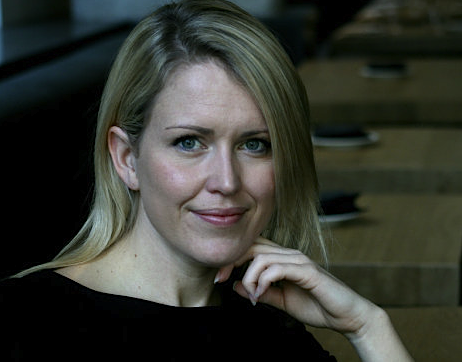 Jennifer Robinson: The last two years have been, I think, watershed moments for press freedom. When you think about the information revolution that’s taken place post WikiLeaks where it’s forcing us to look at the media in a different way, we’ve seen the advent of scientific journalism as a result of WikiLeaks’ work, which is that...you know, journalists are now required to show the material upon which they’re reporting, which is I think a big step forward. We’re also seeing a very different way in which we consider freedom of information. At the same time you have the phone hacking which is on the other end of the spectrum which is all about privacy. Anita Barraud: Jennifer Robinson, you’ve had a stellar academic career. You’ve got a double degree in Law and Asian studies, you’re a Rhodes Scholar, you aced everything. How did this...I’m trying to track this path. You went to Bomaderry High School. Jennifer Robinson: I know, well I...I come from Berry, on the south coast of New South Wales, and my family trained race horses, so I had idyllic upbringing on the south coast of New South Wales in a very big family. My grandfather was a very well known horse racing trainer, Kevin Robinson, and my father Terry also trained, so I grew up around horses on the beach. I was a beach surf lifesaver, and I love coming home, and I just love spending time on the south coast. It’s such a beautiful place. It makes me miss the country. I had the great opportunity of studying Indonesian at high school, I was a product of the Keating government policies of bringing Australia close to the Asia Pacific, and I had a wonderful Indonesian teacher and I had the great opportunity of travelling to Indonesia when I was 16. It opened my eyes to the world and to how other cultures live, other countries live and the difficulties that people face and how lucky we are in Australia, and so I pursued my Indonesian studies at the ANU with my legal studies, ended up spending a year living in Indonesia which took me to West Papua, and that experience was life changing. Seeing how directly you can have a positive impact as a lawyer in a field like that is really motivating. Jennifer Robinson: Spare time... I think any lawyer who works in as many projects as I do will tell you that there’s little spare time, but I really enjoy travel. Ever since my time in Indonesia a long time ago I’ve loved learning about new cultures and new languages and travelling to new places, so I spend a lot of time doing international travel. I try to get home to Australia as much as I can, and of course I try to keep up my sport, it keeps me sane.